Would you like to save £74.90 per 1000 litres of heating oil? Butler Fuels won the November order negotiated with local suppliers by Warwickshire Community Oil Syndicate and members saved a huge 7.49pence per litre against the average market price (and a massive 23pence saving against the market high). What a result! Our members paid only 53.8pence per litre – what did your supplier charge? In addition our LPG cylinder prices haven’t risen for seven consecutive months whilst our LPG bulk is still being offered at 43p per litre despite rises across the industry. As a charity that works exclusively in Warwickshire’s rural communities we are delighted with these results and hope you might be tempted to join us. Email oil@wrccrural.org.uk or call Sarah on 01789 472611. Warwickshire Community Oil / LPG Syndicate reduces the cost of heating oil (both kerosene and red diesel) and LPG (cylinders and bulk) throughout the rural communities of Warwickshire. By operating county-wide the oil syndicate makes it possible for groups, individuals and businesses to make the most of their collective purchasing power and benefit from cheaper heating oil and LPG. Orders are collected each month and negotiations then take place with the various oil companies that supply Warwickshire and the best price is obtained. Our members are making an average saving of just over £48 per 1000 litres of heating oil against the average market price. Working with Warwick District Council, Stratford-upon-Avon District Council, North Warwickshire Borough Council and Solihull Metropolitan Borough Council as well as Orbit Heart of England Housing Association word is gradually spreading about the great savings to be made. Anyone can join the oil syndicate by paying a small annual membership fee which covers as many orders as you need during the course of the year. The tankers that deliver heating oil may only do about 8 miles to the gallon when they are full. If a tanker can offload all its oil in just a small geographical area it is saving a lot of ‘oil miles’. Our aim is to get oil deliveries across the whole of the county organised in a much more streamlined way and to minimise the carbon footprint of what is, inevitably, a fuel-guzzling business. “Just to say how glad I am to have joined the Syndicate! Midland Oil delivered last Saturday and I had only paid on Wednesday so my grateful thanks for running such a brilliant money-saving scheme.” Maurice B. If you think this could be of interest to you or your community please contact us on 01789 472611 or email us. The average cost of fuel taken in recent thefts is about £800, so why not look at getting an alarm for your oil tank? The oil in your tank is valuable; you should consider taking appropriate security measures to prevent its theft or unauthorised use. – Making sure the oil gauge is secured correctly to the tank. – If your tank has a lid design, consider fitting suitable locks and/or lockable valves where necessary and then ensure that they are used. This may be a legal requirement for some tanks. 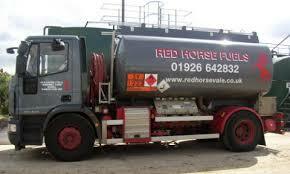 Your tank installation engineer or fuel delivery company will be able to advise you. – If of a vent and fill type, you can buy a special lockable cap. – Don’t forget to provide the keys/combinations for these devices to the delivery company when a delivery is expected and you may not be present. – Monitor your oil tank on a regular basis. Remote electronic oil level gauges are available which will set off an audible alarm if the oil level in the tank suddenly drops or falls below a quarter full. These gauges can be located in the kitchen or perhaps a utility room to warn of any potential problem. There are different versions on the market at the moment and cost between £70 and £100. – If the need arises to replace your tank, consider where you position the tank and make more secure. But remember to leave clear access for the delivery man at the fill point and the gauge can be seen. – You MUST never lock or block the tank vent/ breather, as this will cause the tank to split and cause further damage. – Consider fitting CCTV to monitor the tank. – Security lights can have a very positive effect and make any property a much harder target for the thief. It’s not always necessary to floodlight the area with high power beams, as a more subtle level of lighting may be all that is needed. Low energy “dusk till’ dawn lights positioned close to the tank should, in most cases, provide sufficient light to illuminate any suspicious activity. This type of light can be both effective and inexpensive. High powered lights can be used but care should be taken not to cause any nuisance to neighbours or road users.